I love small churches. But I refuse to idealize them. There’s not an ounce of nostalgia in me for some long-lost, non-existent, good-old-days when everyone attended a little white chapel and all was right with the world. The only real hope that a church will follow through on their mission statement is when it’s based on what the church is already doing. Does your church have a mission statement? Could most of the people in your church repeat it? If the answer is ‘no’, I have one word for you. According to an informal poll, church members' expectations for their pastors are healthier and more balanced than you might think. If you asked a few hundred church members from multiple churches what characteristics they were searching for in a pastor, what do you think they’d say? Have you ever wondered why virtually every church leader is constantly writing and speaking about change? Including me? Because we live in the fastest-changing culture ever. Change is not just an ocassional reality. It’s the water we’re swimming in. 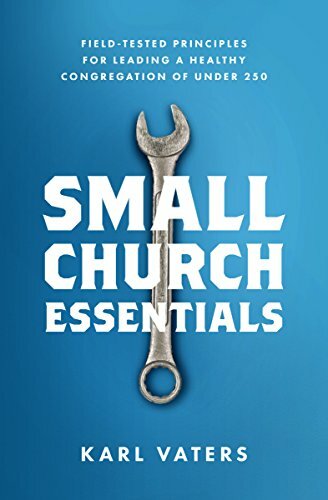 Have you ever wondered why some mistakes will stop the numerical growth of one church, but not even slow another one down? Why won’t my church grow! Have you ever wondered that? Me too. Sometimes you write something and you know people don't care much about it, because nobody responds. Other times you write something and you know people don’t care because they tell you they don't care. Vigorously. Yes, people have said that – and things like it – to me. I get that small churches aren’t for everyone. But saying “I prefer big churches” is the way most people state it. I've heard thousands of sermons. Good ones and bad ones. I've preached thousands of sermons. Good ones and bad ones. I don't go to church to be entertained. I also don't go to church to be bored. I go to read and hear from God's word. I go to be taught. I go to be challenged. I go to be discipled. I go to fellowship with other believers. I go to be inspired into action.